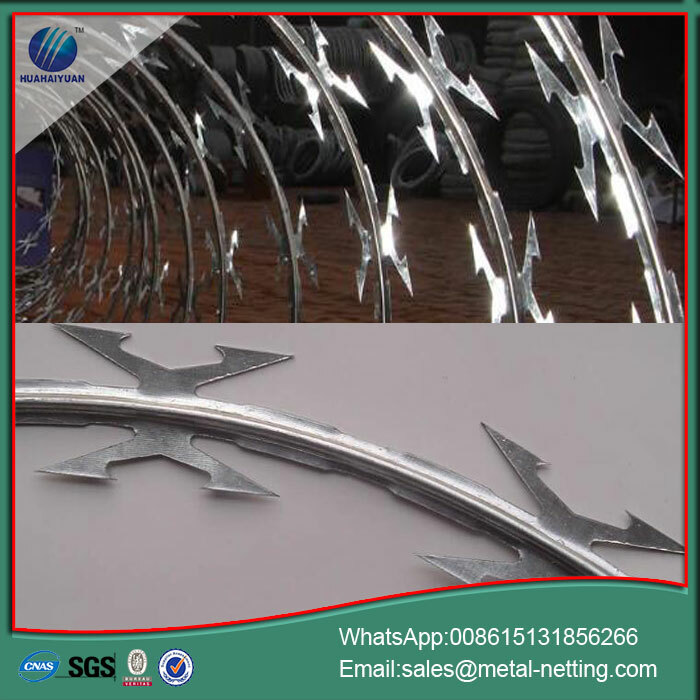 Razor wire is manufactured using a central strand of high tension wire, around which sharp barbs are taped and crimped by a machine. The wire is exceedingly difficult to cut using hand tools. While the barbs have a piercing and gripping action, reinforced steel makes it very hard to bend. 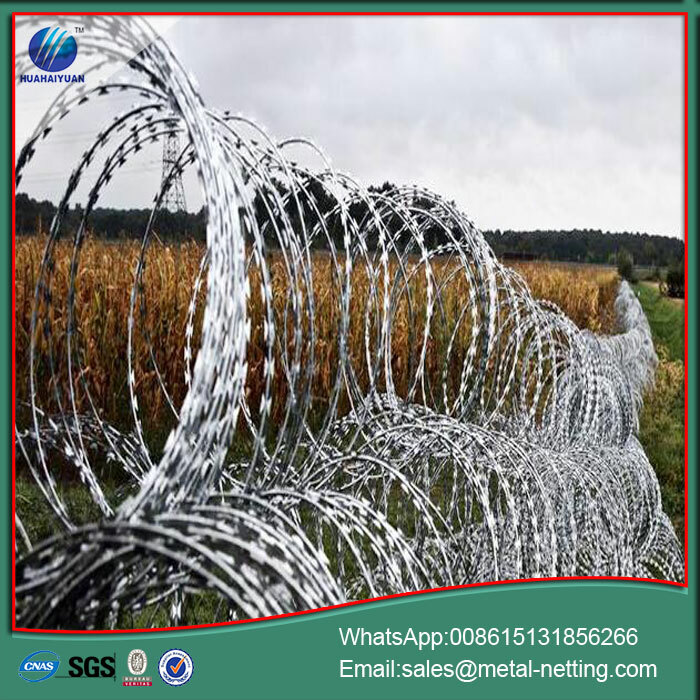 Concertina wire called Razor wire, it is commonly used in security applications. Similar to barbed wired in construction, it features sharp edged blades made from steel tape unlike Barbed Wire. High security: Barbed razor wire with the sharp razor guarantees a high quality whilst retaining high security. 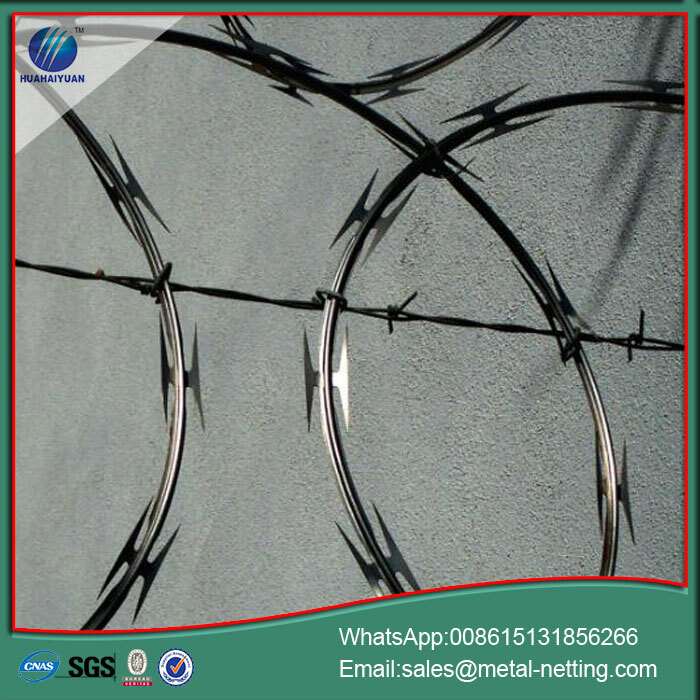 Long life: Razor wire material of stainless steel or hot-galvanized makes sure for long life and low maintenance. Easy installation: Short sections needed for urgent security can be installed extremely fast and with little equipment, allowing repairs to be carried out without compromising perimeter security. 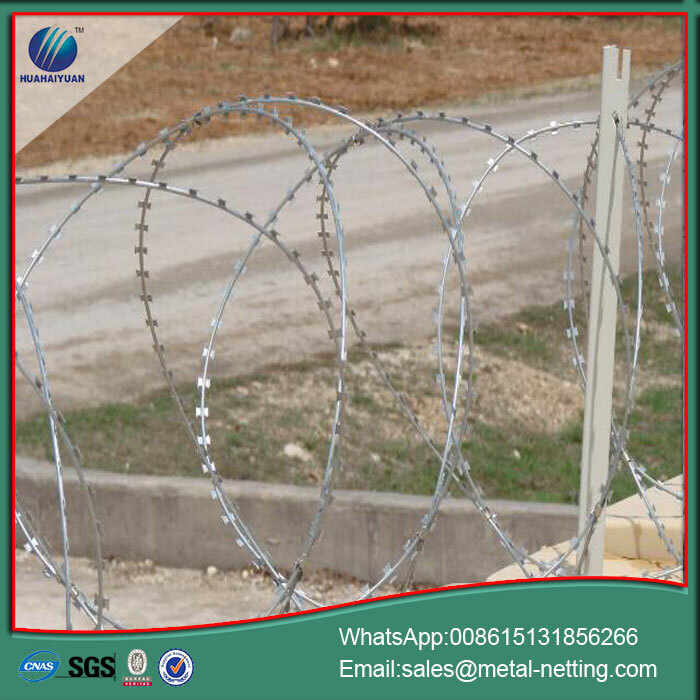 Looking for ideal CBT65 Concertina Wire Manufacturer & supplier ? We have a wide selection at great prices to help you get creative. All the Ship Security Razor Wire are quality guaranteed. 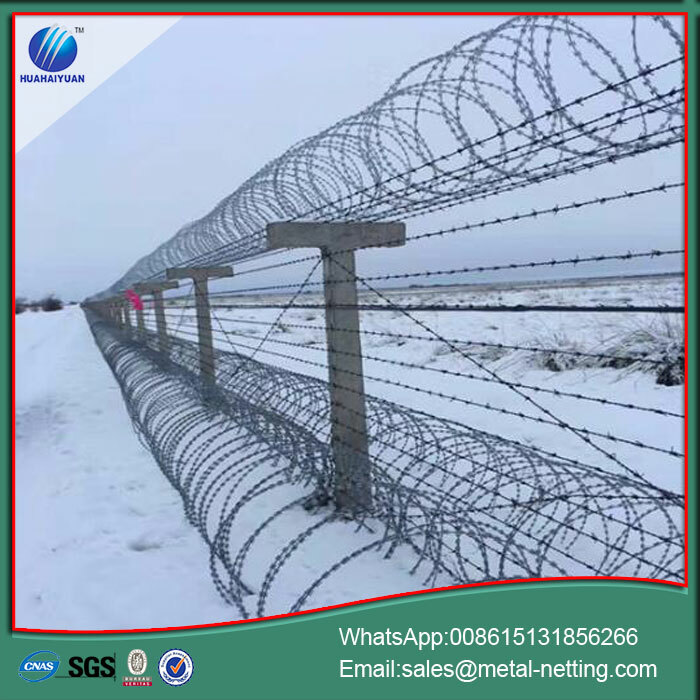 We are China Origin Factory of Army Razor Concertina Wire. If you have any question, please feel free to contact us.